Caleb was in a head on auto collision and suffered a traumatic brain injury. He broke several bones and has been left basically unaware of his surroundings. 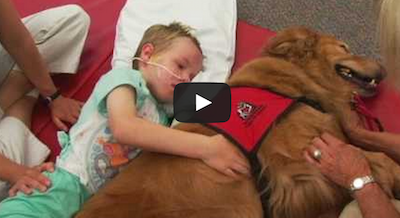 Until Caleb met Colonel the service dog. Watch Caleb’s miracle unfold in the video below!